Shane Gray Banner. 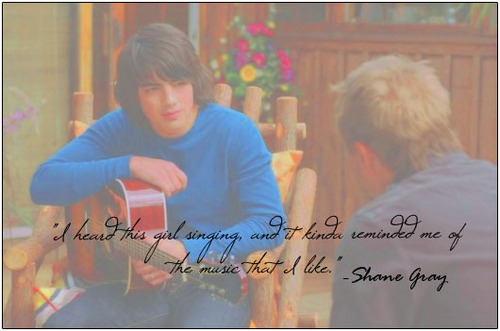 I Made it because i LOVE The movie & shane & this scene. i also posted it on Camp Rock Fan Club. Hope You Love it <3. Wallpaper and background images in the The Jonas Brothers club tagged: jonas brothers jonas brothers joe jonas shane gray camp rock banner. This The Jonas Brothers fan art might contain sign, poster, text, chalkboard, portrait, headshot, and closeup. THE JONAS BROTHERS BACK TOGETHER IN 2013!